Borgo dei Conti Resort is located along the road leading from Perugia to Città della Pieve, in a privileged position overlooking the Nestore River valley. Lake Trasimeno (15 km) and the towns of Perugia (18 km), Todi and Assisi (41 km) are all close by and within easy reach. 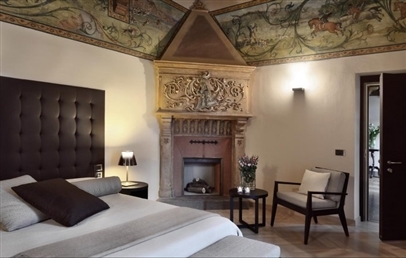 A converted 12th century fortress, Borgo dei Conti Resort is a charming resort with a glorious past. An authentic Medieval town surrounded by 20 hectares of land, with 500 olive trees and a large park. The park covers the whole hill side down to the valley bottom where there is a tower and an oak wood. The resort cleverly combines its honourable history with a modern concept of elegance and hospitality. Rooms are located both in the Villa and the Farmhouse. Classic – approx. 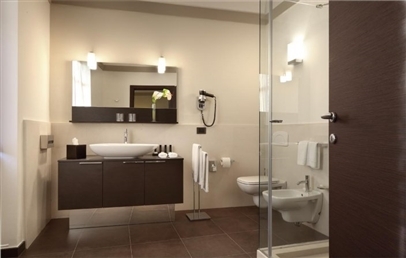 20 m2, bathroom with shower. Views of the courtyard, the garden or the countryside. Superior – approx. 25 m2, bathroom with shower (some rooms also have a bathtub). Views of the courtyard, the garden or the countryside. Junior Suite – approx. 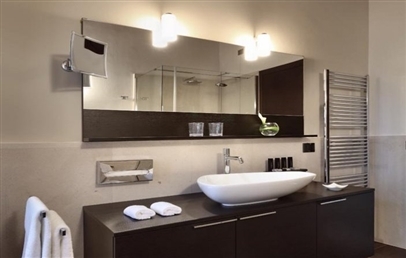 35 m2, bathroom with shower (some suites also have a bathtub). Views of the courtyard or the garden. Suite – approx. 55 m2, bathroom with shower. Views of the garden. Some suites open onto a terrace with views of the countryside. Borgo dei Conti Resort has a large area dedicated to relaxation and body treatments, featuring two saunas, two emotional chromo therapy showers, Turkish bath, a hydro-massage bathtub inside a glass bubble overlooking the garden and an out-door thermo-regulated hydro-massage bathtub with a transparent telescopic cover (removable during the summer). A full list of the facial and body treatments on offer is available on the premises. Guests have access to a gym with Technogym equipment, a synthetic tennis court and a number of jogging routes within the park. The room that once was the fabulous dance hall is now "La Limonaia" Restaurant, which carefully selects local and seasonal produce for all its dishes. Its menu features traditional Umbrian specialities, but also offers its own interpretation of a number of national and international dishes. Borgo dei Conti Resort has a number of leisure areas where guests can play snooker, cards, ping-pong and table football. There are dedicated play areas for children in the park. Upon request, tennis lessons can be arranged with a coach. The resort has two external swimming pools with views of the Umbrian hills, and a pool with games for children. The Pool Bar serves drinks, snacks and a light lunch. Located in both the Villa and the Farmhouse, Classic rooms have an en-suite bathroom with shower and enjoy views of the courtyard, the garden or the countryside. Free Wi-Fi connection. Small pets are welcome. Superior rooms have an en-suite bathroom with shower (some rooms also have a bathtub) and enjoy views of the courtyard, the garden or the countryside. Free Wi-Fi connection. Small pets are welcome. Junior Suites are all unique; some are laid out over multiple floors. They have an en-suite bathroom with shower (some suites also have a bathtub) and enjoy views of the courtyard or the garden. Luxury finishings and free Wi-Fi connection. Small pets are welcome. 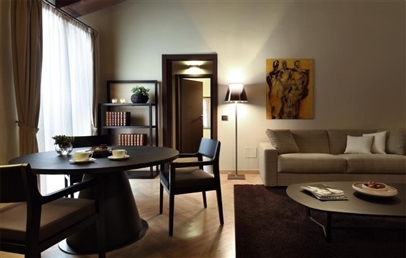 The essence of Borgo dei Conti's elegance and luxury. All suites comprise a double bedroom, lounge with double sofa bed and a large bathroom with shower. They have views of the garden and some open onto a terrace with views of the countryside. Small pets are welcome.